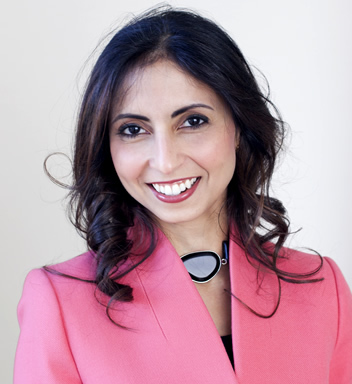 Asma Khalil (MBBCh, MD, MRCOG, MSc(Epi), DFSRH, Dip(GUM)) is a Consultant Obstetrician at St George’s Hospital and Honorary Senior Lecturer at St George’s Medical School, University of London. She is a subspecialist in Maternal and Fetal Medicine, specialising in scanning women and babies with complications in pregnancy. She is the lead for the Multiple Pregnancy service at St George’s Hospital, the referral unit for the South West London region, but also cares for women with low risk pregnancies. Asma gained her MD at the University of London in 2009 following two years’ research into pre-eclampsia (high blood pressure in pregnancy). She also has a Masters degree in Epidemiology from the London School of Hygiene & Tropical Medicine and an MRC scholarship. Asma gained her MD at the University of London in 2009 following two years’ research into pre-eclampsia (high blood pressure in pregnancy). She also has a Masters degree in Epidemiology from the London School of Hygiene & Tropical Medicine and an MRC scholarship. She has published more than 45 peer reviewed research papers in medical journals, and many review articles and book chapters. She has been awarded many research prizes, at both national and international meetings. Asma is a representative member for fetal medicine at the national Clinical Reference Groups for specialised services. She has active collaborations with international societies, particularly in developing countries. She is an active member of the Royal College of Obstetricians and Gynaecologists (RCOG), British Maternal and Fetal Medicine Society (BMFMS), International Society for Prenatal Diagnosis and Therapy (ISPD), International Society of Ultrasound in Obstetrics and Gynecology (ISUOG), International Society for the Study of Hypertension in Pregnancy (ISSHP) and Society of Reproductive Investigation (SRI). She works closely with the team in the Twins and Multiple Births Association (TAMBA).